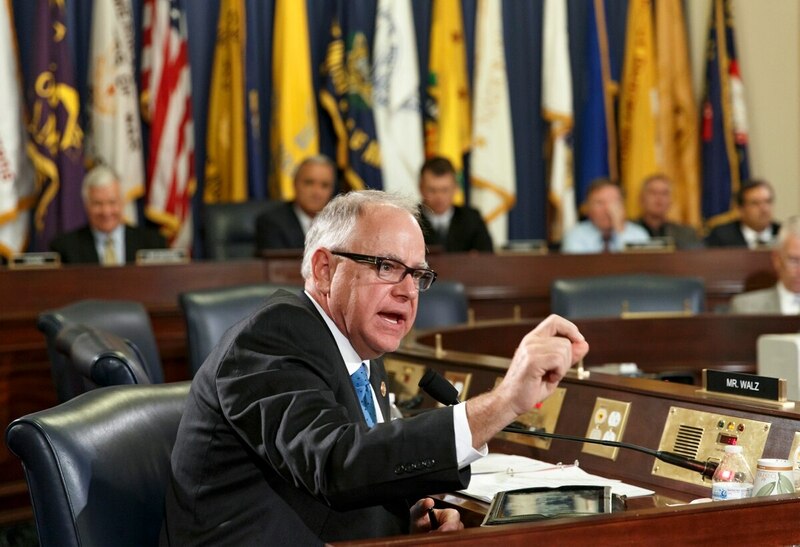 House Veterans’ Affairs Committee Republicans on Wednesday advanced plans for a BRAC-style review of VA facilities over the objection of Democratic lawmakers worried the plan is dangerous for veterans without corresponding department health care reforms. “Considering how to realign VA’s facilities before we have (those changes) up and running, let alone agreed to in Congress, seems like a disaster,” said Rep. Mark Takano, D-Calif., vice ranking member of the committee. The plan — dubbed the Asset and Infrastructure Review, or AIR, act — would establish a nine-member panel similar to the military base closing commission with the purpose of reviewing VA’s nationwide facility footprint. The department currently manages about 6,300 facilities, and officials have said more than 57 percent of those locations are over 50 years old. VA Secretary David Shulkin has said he has the authority to close a few hundred of the facilities, and both Democrats and Republicans have voiced support for closing more. But the AIR commission has raised concerns among some veterans advocates, in part, because the criteria for their recommended closings is still undefined. The commission would be made up of at least three congressionally chartered and membership-based veterans groups, one person with experience as a health care executive and two members with experience in relevant federal processes. But the panel would not have to make public its criteria for reviewing the value of individual facilities until 2021 and submit its final report two years later. The president would make a decision whether to accept those recommendations. That upset several Democrats on the committee, who called it an abdication of lawmakers’ responsibilities. Instead, committee leadership scrapped plans to mark up a health reform bill at the same hearing as the AIR Act because cost estimates still have not been completed. Committee Chairman Phil Roe, R-Tenn., said he hopes to review that issue in coming days. That reform bill would dramatically expand outside care options for veterans in the VA health system and has been the focus of a larger debate about flexibility and privatization of the department’s responsibilities. For now, all of the committee members support the proposal, which is expected to cost about $40 billion over five years but is less ambitious than an administration-backed plan for community care programs. Democrats said without a clear answer on those access and private-sector usage issues, moving ahead with potential VA clinic closings is irresponsible. Roe and the committee Republicans disagreed, arguing that it’s past time to move forward with a facility review. The legislation also includes a $2.1 billion increase in VA Choice funding, which would keep that community care program operational past the end of 2018. And $500 million would be allocated for minor construction and maintenance projects at existing VA facilities. The full House could vote on the measure in coming days. Whether the Democratic objections could derail a full chamber vote on the issue remains unclear. Senate lawmakers have not made public progress on either the facility review or VA community care reform issues in recent months.